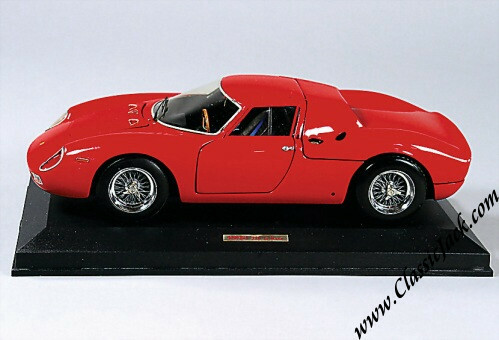 Enrica HE14 - Ferrari 250 LM Scale Model. It was made in the 1980 - 1990's by Paolo Tron from Milano, Italy in a very small edition of which most are locked up for life in collections. Paolo called the series "Enrica", after his wife. The detailing is simply stunning! It is a BIG and HEAVY model with its 30 cm (12 inches) in length and some 1.3 KG in weight! It is hand numbered 104 on the bottomplate. Complete and undamaged but the rear license plate light is missing. A VERY rare opportunity to acquire a highly desirable "Enrica HE14" model!